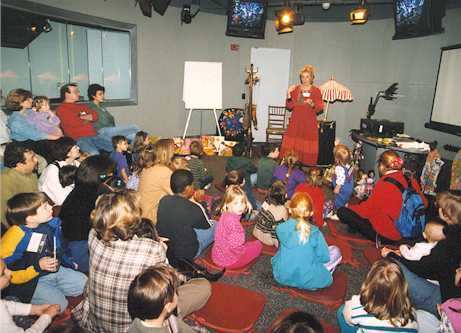 In addition to writing and illustrating award-winning children’s books, Gail Haley has written several books on costume and puppetry. 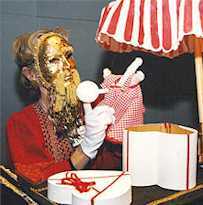 Her articles have also appeared in The Puppetry Journal. She has been a member of UNIMA and Puppeteers of America. A great believer in hands-on education, Haley has conducted a series of 1, 2 and 3 day in-service teacher education workshops, demonstrating tools and techniques for integrating puppetry into the classroom and curriculum. Using shadow puppets, glove puppets, rod puppets and marionettes, Haley covers the range from simple to sophisticated, applying these characters to multi-cultural education and special education among other subjects. Workshop participants are provided with a special plastic mould of her own design so they may reproduce their own characters upon returning to the classroom.